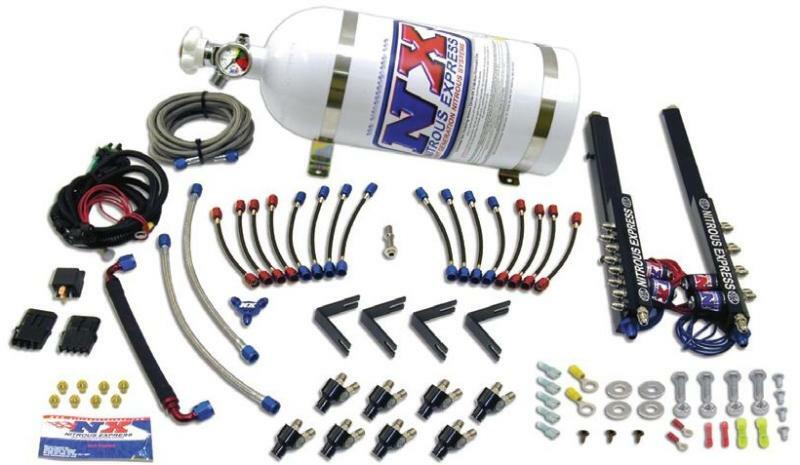 Nitrous Express Nitrous Kit - NXL System - Dezod Motorsports Inc - Home of the automotive performance enthusiast since 2002. Nitrous Express introduces the “NXL” nozzle with Integrated Rail Technology. This plug-and-play, direct-port nozzle system is available for Honda B16A/Type R intakes and all LS1/LS6 motors. There is no drilling required, no engine disassembly and no solenoids to mount. 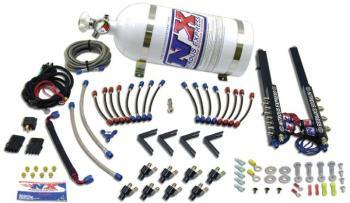 The entire nitrous system is self-contained in the high-fl ow fuel rail. Systems come complete with bottle, jetting, custom insulated distribution lines, and all installation hardware. This hi-tech direct port system comes with a wiring harness for true plug-and-play performance. We also offer universal systems for all other four, six, and eight cylinder applications.